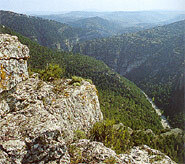 The Natural Park of la Tinença de Benifassà stretches between the regions of Els Ports and El Baix Maestrat, in Castellón. 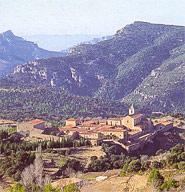 The ancient possessions of the Benifassà monastery extend across a mountainous area of great ecological value. Among the thick woods of black and wild pines, there are also big-leaf lindens and beech trees. The fauna found here includes the Spanish ibex, wild boars, vultures, Bonelli's eagle and the booted eagle. The area is part of the Puertos de Tortosa y Beceite National Hunting Reserve. There is a network of signposted hiking routes linking up the seven towns in La Tinença - Bel, Ballestar, Boixar, Castell de Cabres, Coratxà, Fredes and La Pobla de Benifassà - enabling visitors to experience the rare delights of this well-conserved nature area.